I am a journalist for 28 years come June, having covered everything from sports to business to travel. I tell you this not out of hubris or some badge of honor, but to give you some sense of perspective – because everything I’m about to write goes completely against everything I was trained to do, and have done, for almost three decades. 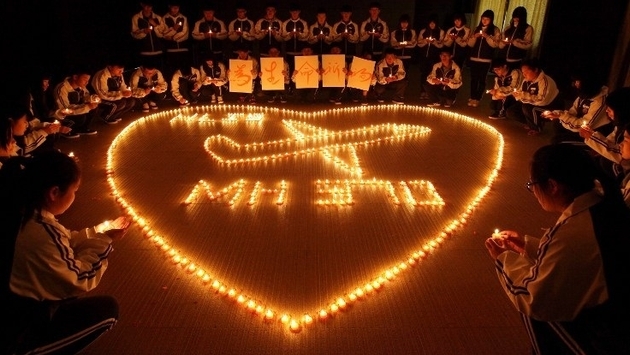 It’s time to back off coverage of missing Malaysia Airlines Flight MH370. Believe me, I am as competitive as the next journalist who wants to get the story first. A month after the flight disappeared, the story remains as fascinating and intriguing as ever, especially with that rare commodity attached to it — a worldwide audience eager to know what happened, yearning to have the mystery solved. But at some point you have to wonder what we are doing to the families? My head and my heart fall on both sides of a paper-thin line. There is the duty of the journalist to report the news; there is the sense of compassion not to put the families and loved ones through the wringer any longer. Sunday was a milestone day in the hunt for MH370. News outlets reported it was the 30th day since the disappearance, meaning the black boxes have, or are about to, run out of battery power to emit the ‘pings’ needed to help search vessels locate the aircraft. At virtually the same time, a Chinese ship detected what officials are calling “pulse signals” that could be from the black boxes. British and Australian ships were heading to the area on Sunday afternoon. This would be most welcome news if we could finally offer closure to the families. Except it was welcome news the first time, nearly a month ago, when a Chinese plane spotted what looked like debris. But it wasn’t. It was welcome news when more debris was located. But it wasn’t. It was welcome news when officials confirmed that the plane turned around and a definitive search area was determined. But it wasn’t. Each time, the "news" sent the families into emotional convulsions of hope and frustration. I am a journalist. I put no blame on the media for simply doing what it was trained to do. To this day, whether it be via traditional means or by social media, the media remains the conduit of information to the public and, in many ways, a safeguard for the public. Yes, I am a journalist. But I am also a husband, father, son, uncle, nephew, cousin and friend. I can’t imagine the uncertainty that the families and loved ones of MH370 are going through, and I’m not quite sure I could handle the emotional rollercoaster of every news report that turns out to be false. Look, I get it. Government officials feel they need transparency, especially for the families. Others simply like talking to the media. News and information and tidbits are going to trickle out. But when it comes to the media and coverage of this apparent tragedy, perhaps some things are better left unsaid until they turn out to be true.